NEW YORK (AP) — Facebook says some of CEO Mark Zuckerberg's posts on the social media site were deleted due to technical errors. DOVER, Del. (AP) — A Delaware judge has rejected a business partner's counterclaims against twin brothers who are best known for suing Mark Zuckerberg over the idea for Facebook. NEW YORK (AP) — Facebook, trudging through its awkward teenage years, is turning 15 on Monday. NEW YORK (AP) — Mark Zuckerberg's latest attempt to explain Facebook's data-sharing practices is notable for its omissions as well as what it plays up and plays down. CAMBRIDGE, Mass. (AP) — German Chancellor Angela Merkel has been chosen to give Harvard University's commencement speech May 30. LONDON (AP) — A cohort of international lawmakers is trying to turn up the pressure on Facebook, grilling one of its executives and making a show of founder Mark Zuckerberg's refusal to explain to them why his company failed to protect users' data privacy. The rare "international grand committee" of lawmakers from nine countries gathered in London to get answers about Facebook's handling of personal data and made a point of leaving an empty seat with Zuckerberg's name tag. NEW YORK (AP) — Facebook's outgoing head of communications is taking the blame for hiring Definers, the public relations firm doing opposition research on the company's critics, including billionaire philanthropist George Soros. NEW YORK (AP) — For the past decade, Sheryl Sandberg has been the poised, reliable second-in-command to Facebook CEO Mark Zuckerberg, helping steer Facebook's rapid growth around the world, while also cultivating her brand in ways that hint at aspirations well beyond the social network. COLOMBO, Sri Lanka (AP) — The ousted Sri Lankan prime minister's party urged Facebook to safeguard the identity of its supporters on the social media platform, fearing information sharing with what it calls the country's "illegal" government can lead to a crackdown against the users. 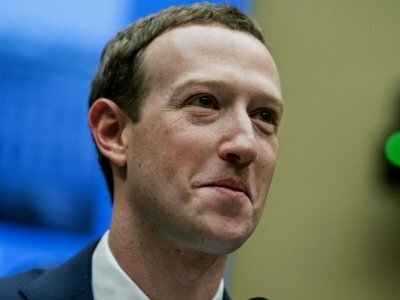 In a letter to Facebook chief Mark Zuckerberg, the United National Party said such information could be used against the users "in ways which are legally prohibited." Facebook says it's setting up an independent body for people to appeal decisions to remove — or leave up — posts that may violate its rules. CEO Mark Zuckerberg said Thursday that the company wants to have such a review body by the end of next year. Appeals are currently handled internally. LONDON (AP) — Parliamentary committees in Britain and Canada on Wednesday urged Facebook CEO Mark Zuckerberg to testify before a joint hearing of international lawmakers examining fake news and the internet. BEIJING (AP) — China's former internet censor, who once held high-profile meetings with industry leaders such as Apple CEO Tim Cook and Facebook founder Mark Zuckerberg, was standing trial Friday on corruption allegations, state media reported. The attackers gained the ability to "seize control" of those user accounts, Facebook said, by stealing digital keys the company uses to keep users logged in. They could do so by exploiting three distinct bugs in Facebook's code. BRUSSELS (AP) — European Union lawmakers appear set this month to demand audits of Facebook by Europe's cybersecurity agency and data protection authority in the wake of the Cambridge Analytica scandal. DOVER, Del. 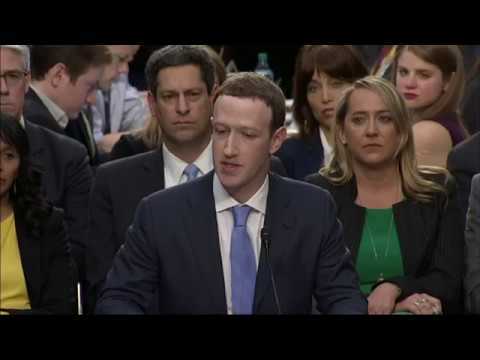 (AP) — A Delaware judge says he wants to hear from Facebook founder Mark Zuckerberg before ruling on attorney fees in a shareholder suit challenging a proposed stock reclassification. On the eve of Zuckerberg's scheduled testimony last year, Facebook withdrew the proposal, which would have let him keep control of the social media company even while selling shares to fund his philanthropy. Facebook says it's going to start taking down misinformation that could lead to violence. The company's new policy will begin in Sri Lanka and later expand to Myanmar. In both countries, human rights groups have faulted Facebook for an inadequate response to hate speech and the incitement of anti-Muslim violence. BOSTON (AP) — Facebook executive Sheryl Sandberg didn't shy away from her company's ongoing privacy scandal in a Friday commencement speech at the Massachusetts Institute of Technology. Instead, she turned it into a lesson about accountability. Sandberg, the company's chief operating officer, repeatedly warned graduates that even technology created with the best intentions can be twisted to do harm, a lesson that she said hits close to home, "given some of the issues Facebook has had." CANBERRA, Australia (AP) — Australia's prime minister said on Thursday he would welcome Facebook founder and chief executive Mark Zuckerberg testifying to an Australian parliamentary committee on the social media giant's sharing of data with Chinese phone maker Huawei.